Father's Day is just a week and a half away! June 21st to be exact. Have you picked up a gift for your dad yet to show him he is remembered, appreciated, and loved? 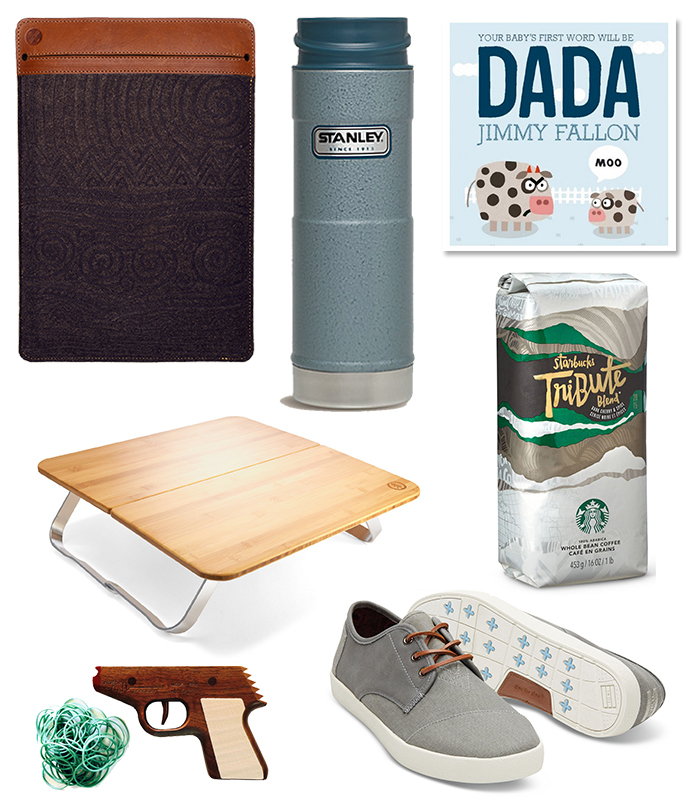 I've got a small Father's Day inspired gift guide for you in case you are stuck and need some ideas! KANCHA Laptop Sleeve | Give your dad some rad, ethically made tech gear. Stanley Vacuum Mug | For the adventurous dad. P.S. I have a Stanley giveaway on Facebook today! Jimmy Fallon's Dada Book | Because who wouldn't want to read a book by Jimmy Fallon? Starbucks Coffee | You know your dad loves him some good coffee. I just love it because it comes in pretty packaging! REI Picnic Table | How fun is this table? Perfect for those intense card and scrabble games you play while camping. Rubber Band Gun | Dads are really just kids parading as adults. You know you want to have a rubber band gun fight! TOMS Shoes | If your dad is hip with the kids, he may appreciate a new pair of kicks like these. Get $5 off $50. Do you give gifts on Father's Day? What is your go-to gift for your dad? Anything from this list you might consider? Labels: father's day, gift guide, my dad. This is a great list for Dads! I am definitely looking into that Jimmy Fallon book. That is awesome! I love Jimmy's new book, so cute! Haha! Isn't it great? Reminds me of my childhood. Me too!! He's the best. but that rubber band gun = BALLIN. and the shoes + picnic table...sooooo good.